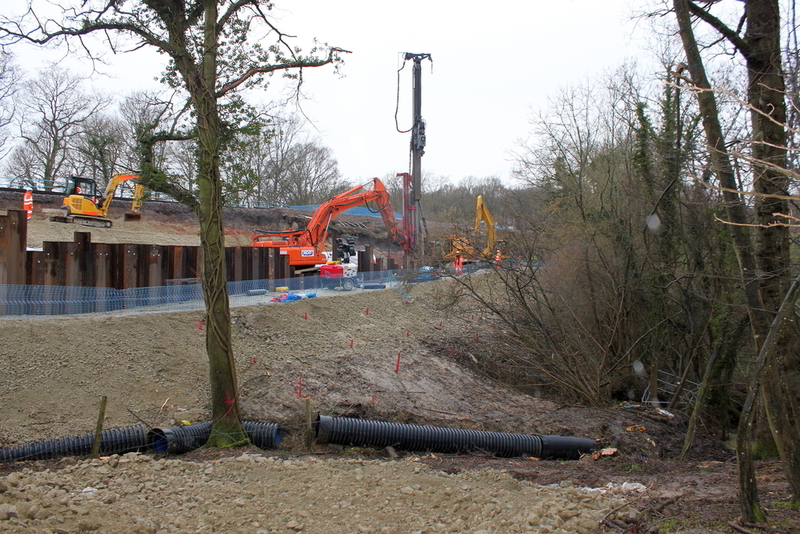 VEDA Associates were appointed by Dyer & Butler as both temporary and permanent works engineers for an embankment stabilisation project following a slip which occurred during heavy rainfall in February 2014. 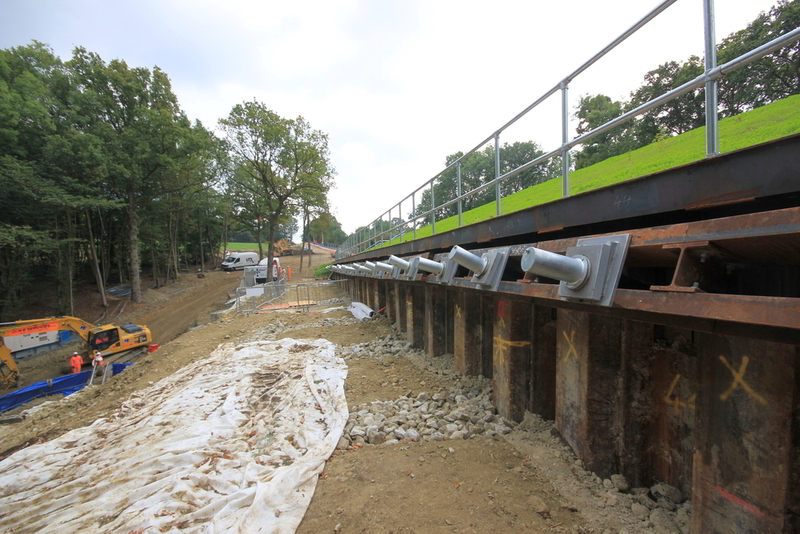 The permanent stabilisation solution evolved during the design/construction process as both were carried out concurrently. The failed section of embankment covered an area 10m high x 40m long and had an existing masonry culvert running 14.0m below track level. 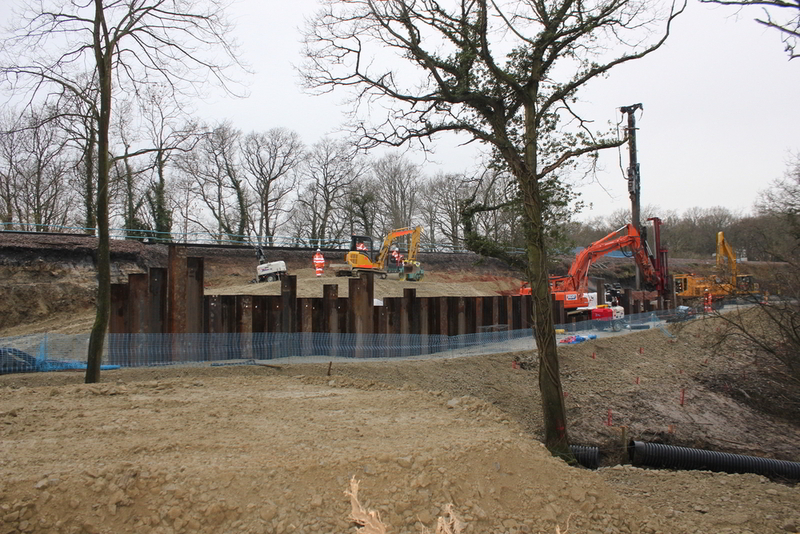 The agreed F003 design utilized 12.0m deep sheet pile wall installed part way down the embankment which was anchored into the fill with a 35.0m long ground anchor system. 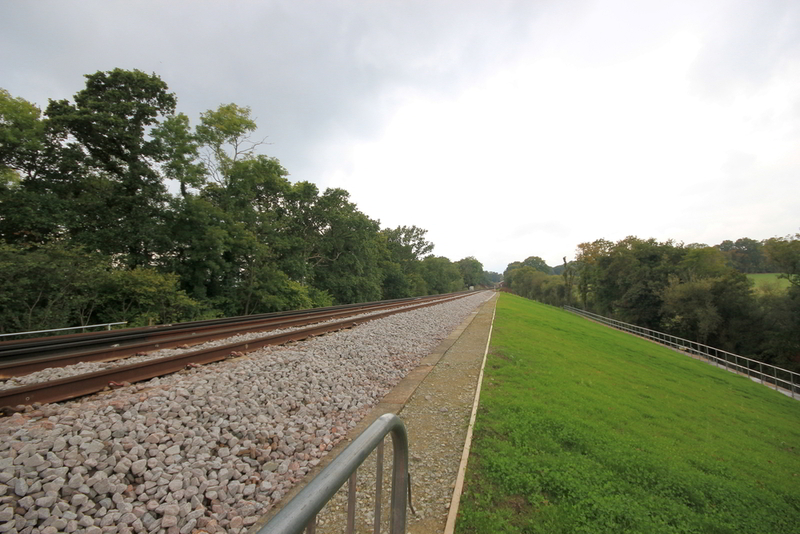 Works included the design of the new embankment drainage and culvert rehabilitation works, the latter requiring a steel liner jacked into the existing culvert to allow masonry repairs. The 1060mm diameter CHS was finished with a UV liner in the internal diameter to ensure the watercourse did not become contaminated. VEDA provided the permanent works design, along with the associated temporary works and site support for the full contract.